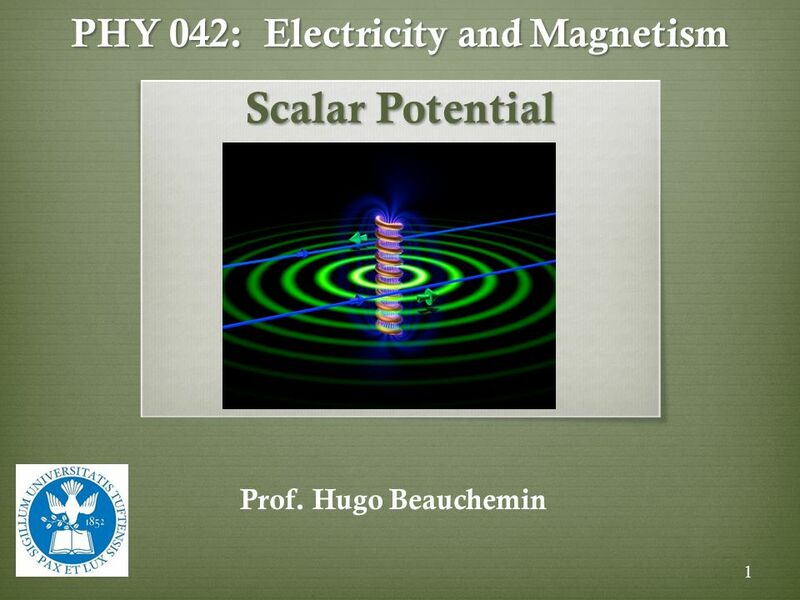 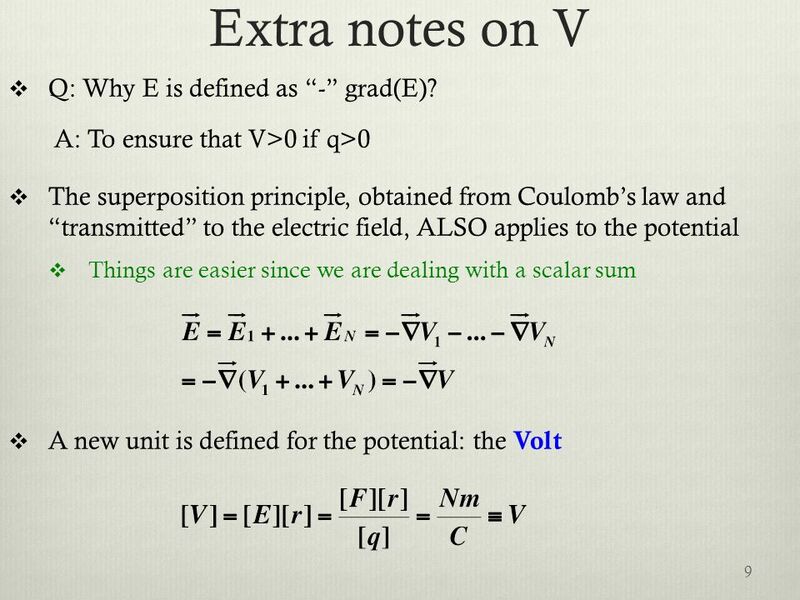 PHY 042: Electricity and Magnetism Scalar Potential Prof. Hugo Beauchemin 1. 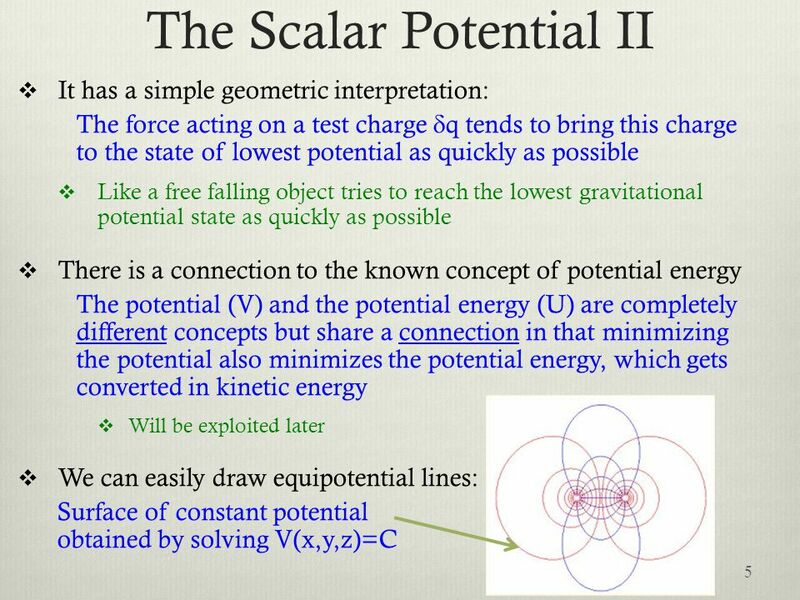 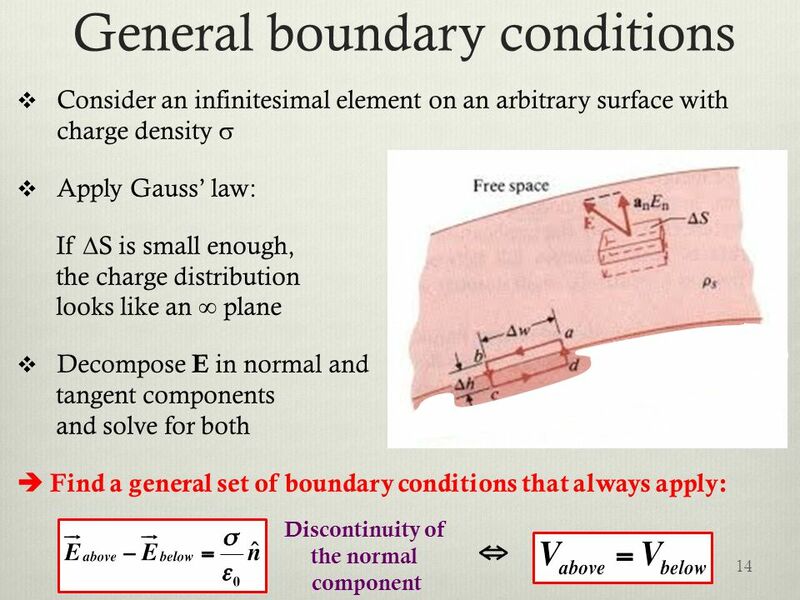 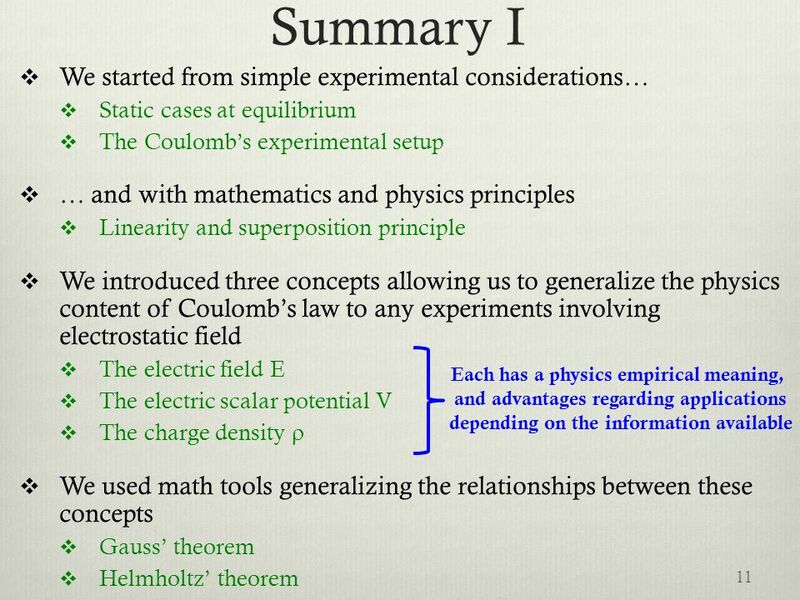 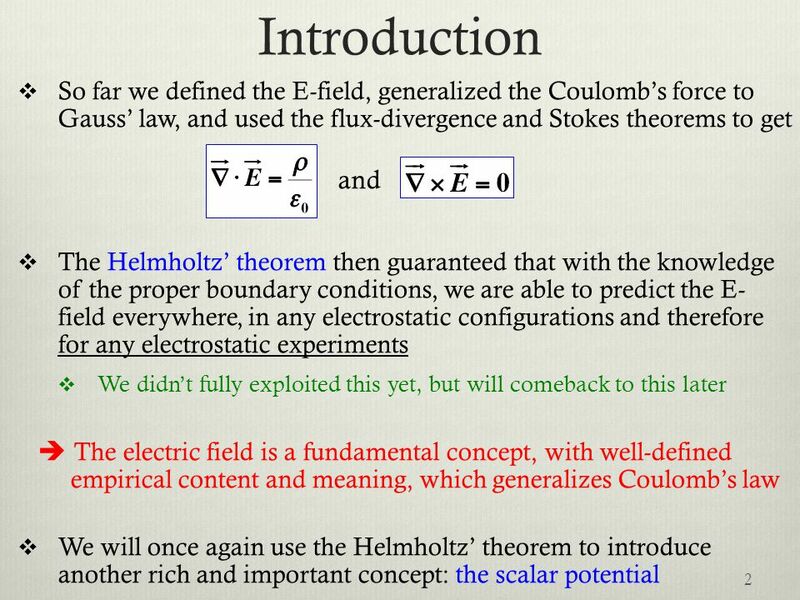 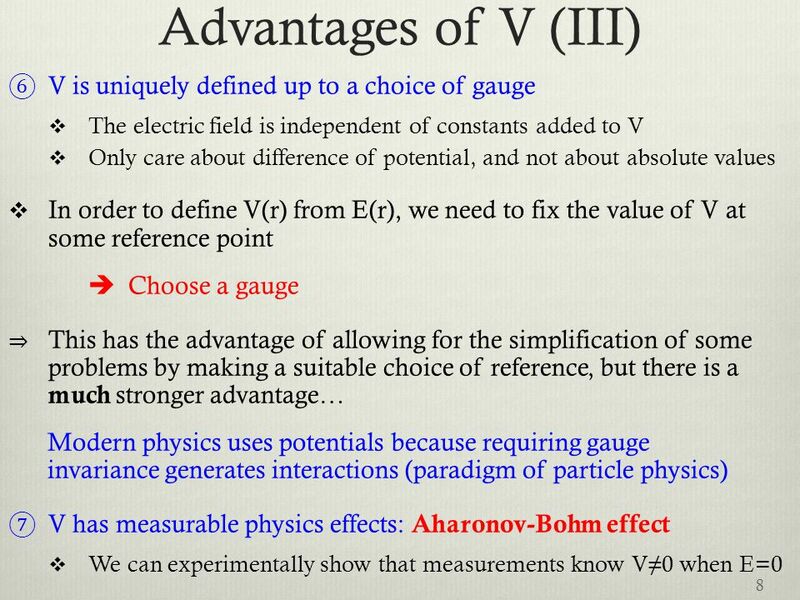 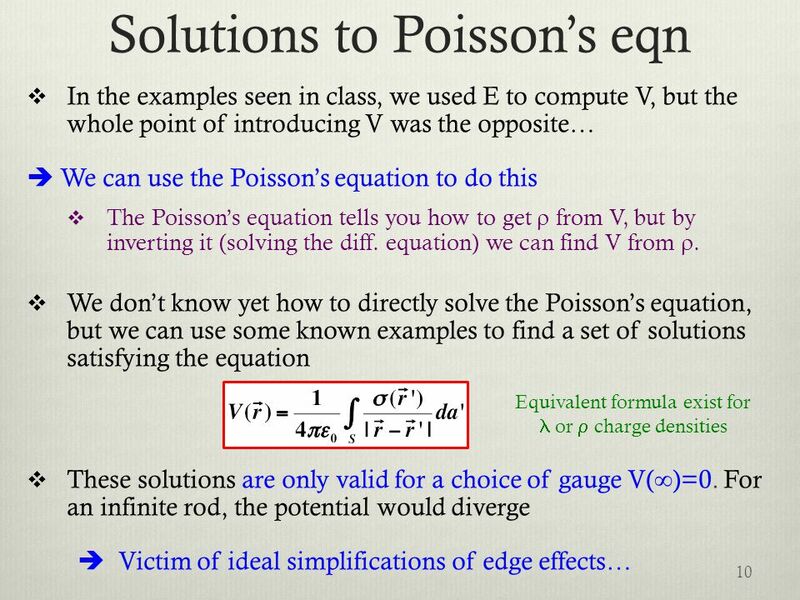 Download ppt "PHY 042: Electricity and Magnetism Scalar Potential Prof. Hugo Beauchemin 1." 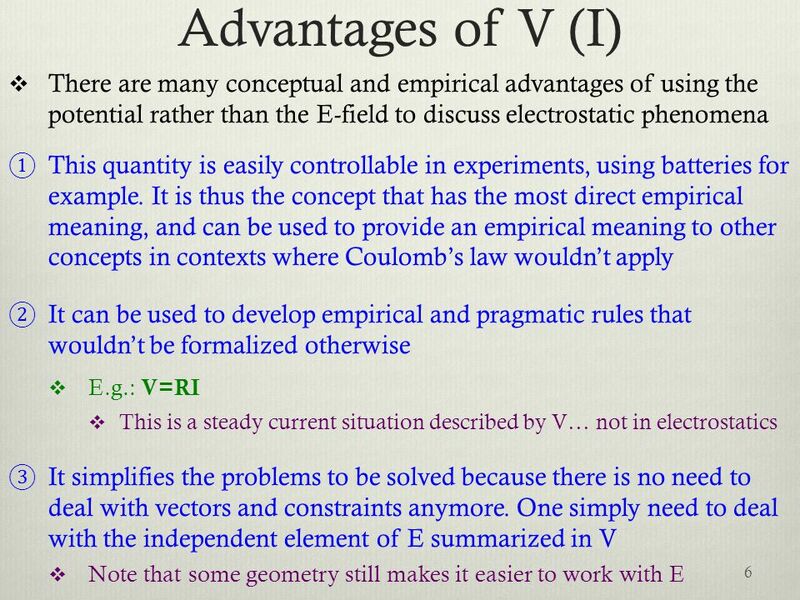 1 Design, Modeling and Simulation of Optoelectronic Devices A course on: Device Physics Processes Governing Equations Solution Techniques Result Interpretations. 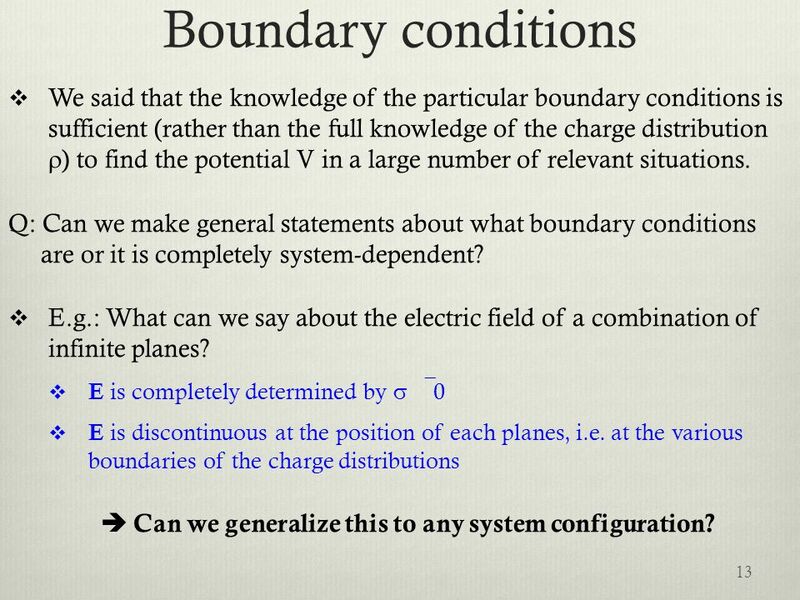 PHY 042: Electricity and Magnetism Magnetic field in Matter Prof. Hugo Beauchemin 1. 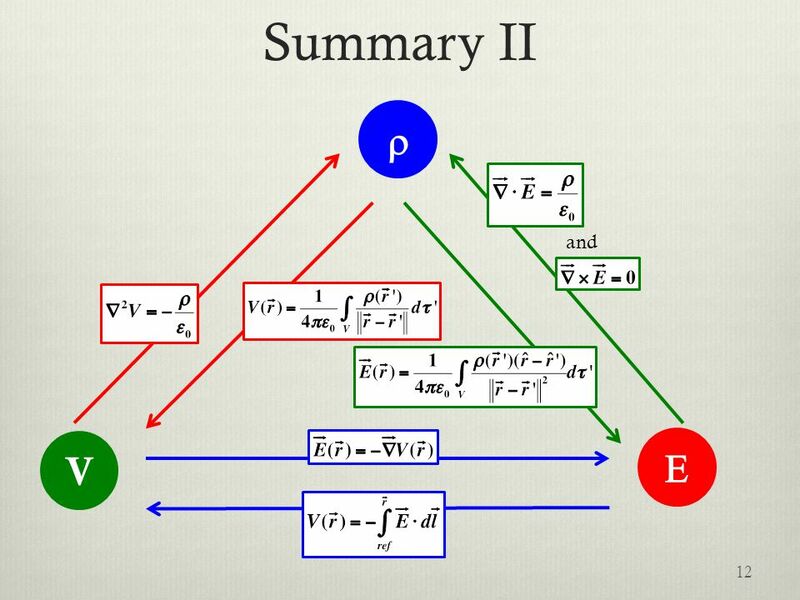 Vector integrals Line integrals Surface integrals Volume integrals Integral theorems The divergence theorem Green’s theorem in the plane Stoke’s theorem. 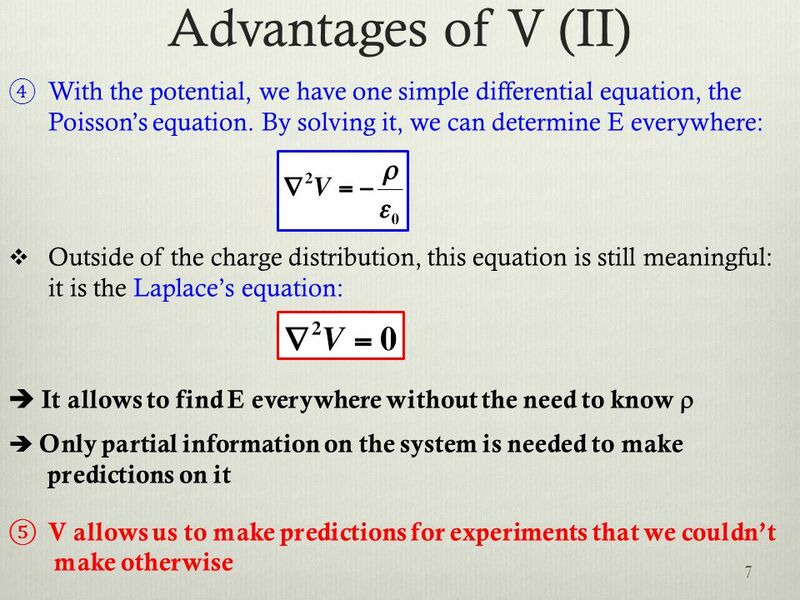 PHY 042: Electricity and Magnetism Laplace’s equation Prof. Hugo Beauchemin 1. 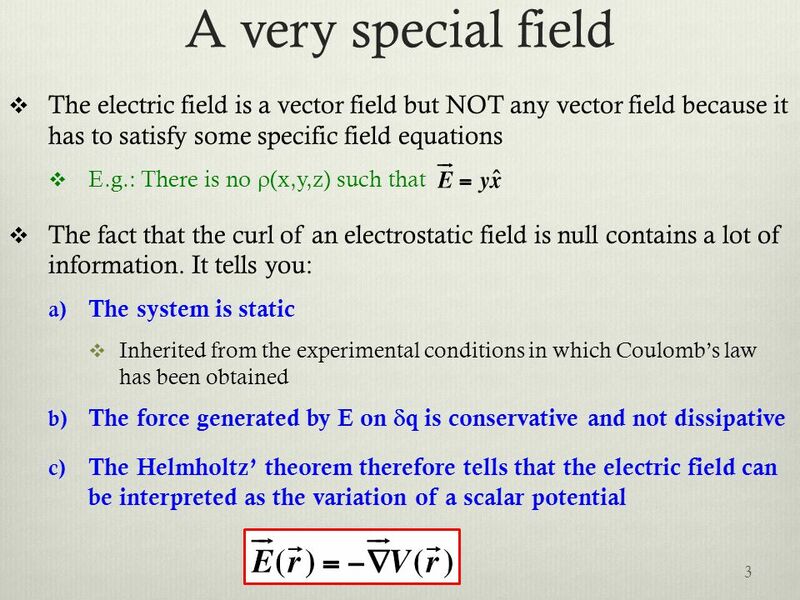 PHY 042: Electricity and Magnetism Energy of an E field Prof. Hugo Beauchemin 1. 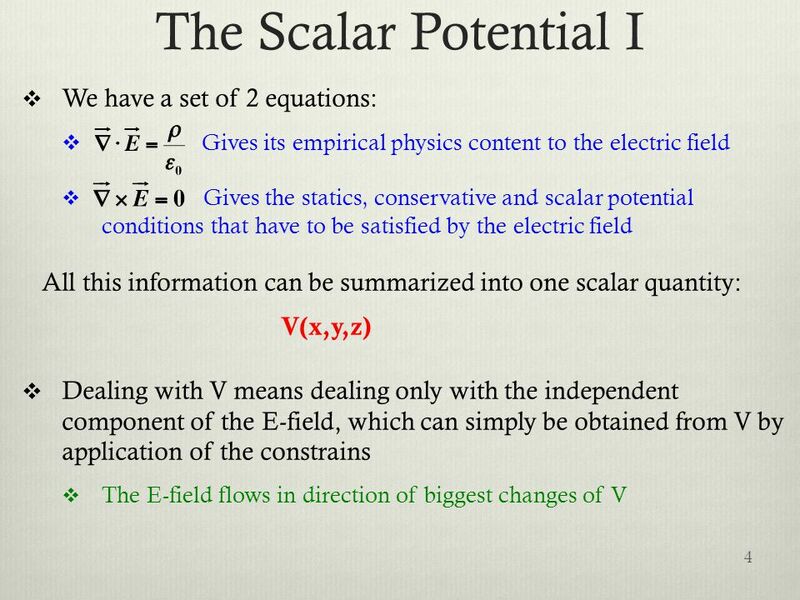 Chapter 25 Electric Potential 25.1 Potential Difference and Electric Potential 25.2 Potential Differences in a Uniform Electric Field 25.3 Electric Potential.